KABUL -- Taliban fighters stormed a prison early Monday morning in Afghanistan's eastern Ghazni province, south of the capital, freeing more than 350 prisoners and killing at least four police in the brazen attack, according to Afghan officials. 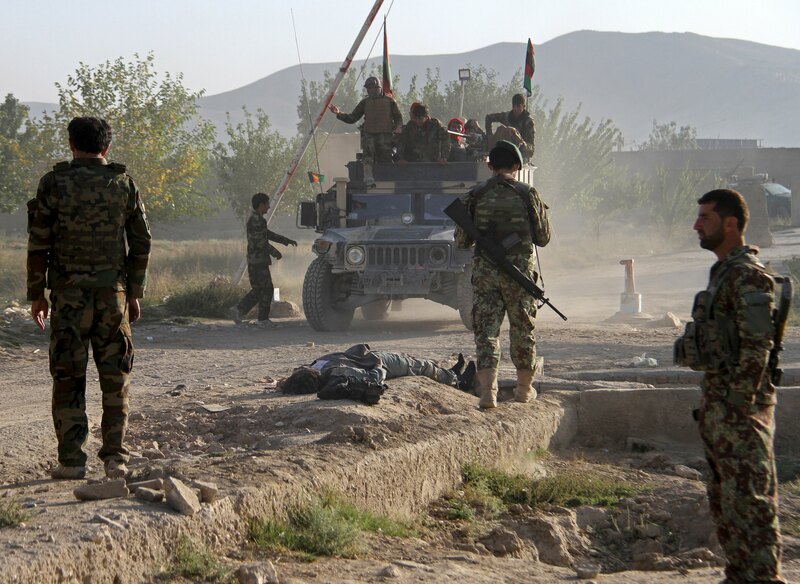 Mohammad Ali Ahmadi, the deputy governor of Ghazni, said a suicide car bomb first struck the compound, allowing at least six more Taliban fighters dressed in Afghan police uniforms and equipped with guns and heavier weapons to enter. "The attackers were well organized and had planted roadside bombs around the prison to prevent reinforcements" from responding, Ahmadi said. New leader a "modern face among the Taliban?" In two hours of battle that followed the initial attack, four police and three attackers were killed. Seven more police were injured, according to Ahmadi and the Afghan Ministry of Interior. Ahmadi said he was not sure how many militants carried out the attack in all, but that they "were in huge numbers and we heard they even brought vehicles and motorbikes to take the freed prisoners with them." Taliban spokesman Zabihullah Mujahid claimed responsibility for the attack in a statement emailed to CBS News and other media organizations. The prison is located about five miles outside the center of Ghazni city, approximately 100 miles from Kabul. The prisoners set free in the attack were a mix of insurgents and common criminals, according to Ahmadi, who said their location was unknown. A statement from the Interior Ministry said 355 out of 436 prisoners held at the facility had escaped and the ministry had dispatched a team to investigate the incident. The statement said 148 escaped prisoners had been accused of committing crimes against the national security of Afghanistan and 207 others were accused of criminal acts. According to the statement, 81 prisoners remained inside the compound. Filed by CBS News' Ahmad Mukhtar in Kabul.